This Scottie puppy is just too cute…but I’m afraid it too big for conformation showing. I’ve hand enameled this sweet vintage silver plated brass stamping from the turn of the century with a green bow and red, blue and green coat. To the back I’ve securely adhered a modern safety-type pin. Total dimensions of this large brooch are about 2-1/2”x 2-1/2” (65x65mm). What a sweetie pie and the perfect pet. For special paper gift wrap and personalized Scottie card... otherwise, all orders arrive in a lovely box with tartan ribbon bow for free. Beautiful, high-quality jewelry with the world’s best dogs on them! Every purchase I have made is fabulous, and I am a repeat customer! Highly recommended! This brooch is crafted superbly by Liz Lufrano. It is beautiful and I will treasure it always. It was shipped immediately and tracking made available. Packed with utmost care. Excellent communication. A beauty! I love it very much! Thank you! Payment is expected via Paypal immediately after order is placed and if paying via check or money order, items are shipped after payment is received and has cleared. Orders not paid for within 7 days will be cancelled unless other arrangements have been made. I want you to be happy shopping with Gibscot, so if you aren't satisfied with your order for any reason, send me a convo so we can work out a way to remedy the problem. All Gibscot orders come packaged in an elegant jewelry box tied with a tartan ribbon bow...ready for gift giving, either to yourself or to some other special Scottie lover in your life. Orders over $300 are shipped FREE of charge. Any shipping charges automatically added during check out will be reimbursed immediately after the order is received. ·	Every necklace set is one of a kind. Similar designs may be custom ordered but to protect the value of each design, I must respectfully decline to make exact replicas. ·	Perfection and flaws, like beauty, are in the eyes of the beholder and natural imperfections are to be expected in natural stones. Some of the stones used in my designs are very rare and hard to come by now a days and often only available in vintage and recycled condition. I have identified these stones as vintage or recycled and have used only the best I could find. Scratches and “dings” are to be expected on some of the vintage or antique recycled stones from previous wear. ·	I have tried to keep the sizes of the earrings at a reasonably comfortable weight. Please send me a convo if you have any questions or would like a different style so we can discuss your preferences and pricing. ·	Custom matching bracelets can be made for some of the necklace sets. Please send me a convo to see if I have enough matching stones to make one for you and for pricing. 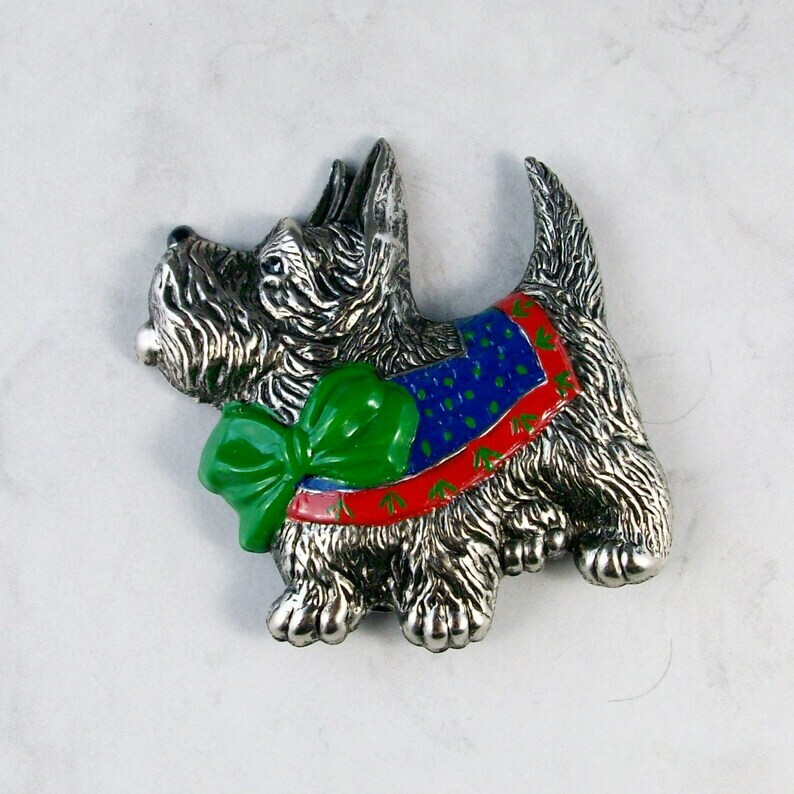 ·	Scottish Terrier lovers receive a special "Magic Word" 30% discount at Gibscot! Discounts only apply to regular price items...not sale items. Please see my blog at www.gibscot.blogspot.com for more details and the current Magic Word. Obviously, items at Gibscot are Not from a pet-free home. Please collect any dog hairs you find in your purchases and discard the hair in a responsible manner. ;o} Thank you!